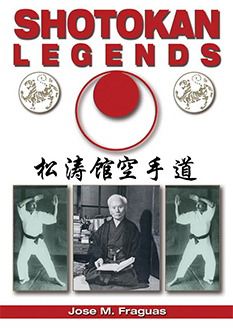 Through conversations with many historical Wing Chun figures such as the Grandmaster Yip Man’s sons; Yip Ching and Yip Chun, and other top disciples of his like Wong Shun Leung, Willian Cheung, Victor Kan, Leung Ting, etc…the information in this book has never appeared anywhere before. 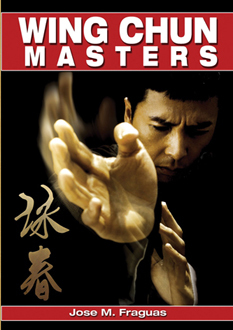 The author, Jose M. Fraguas proudly presents “Wing Chun Masters”, with an amazing repertoire of great masters and teachers of the art of Wing Chun Kung Fu. 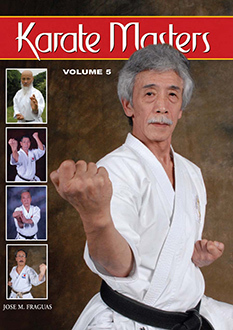 In this volume, interviews with the world’s top masters like the “Kaiser of Wing Tsun”, Keith R. Kernspecht, and leading world instructors like Augustine Fong, Samuel Kwok, Francis Fong, Jim Lau, Gary Lam, Stephen Chan, etc, have been gathered to present an integrated and complete view of the “Beautiful Springtime” Chinese art of fighting, philosophy, and self-defense. This volume contains intriguing thoughts, fascinating personal details, hidden histories, and inspiring philosophies, as each master reveals his true love for the art and a deep understanding of every facet associated with the practice and spirit of the Chinese art of Wing Chun Kung Fu as a way of life. This invaluable reference book is a “must have” addition to your personal library. Empire Books does not ship to P.O. Boxes. Please, provide your street address for proper delivery.